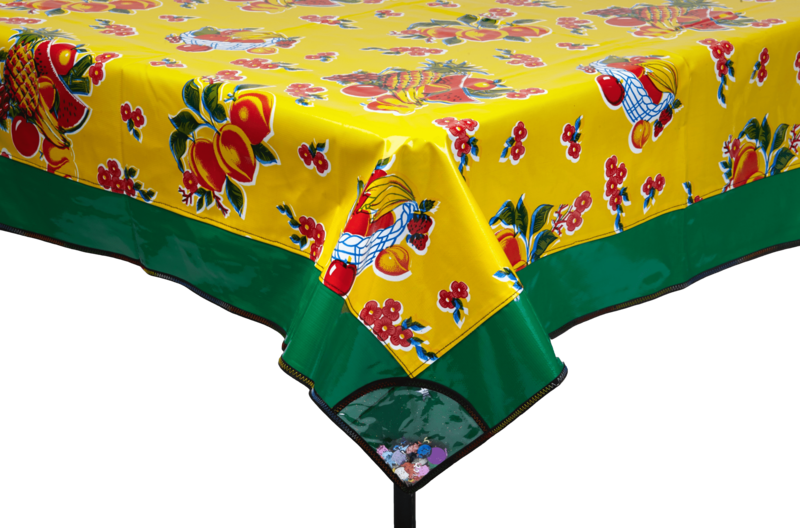 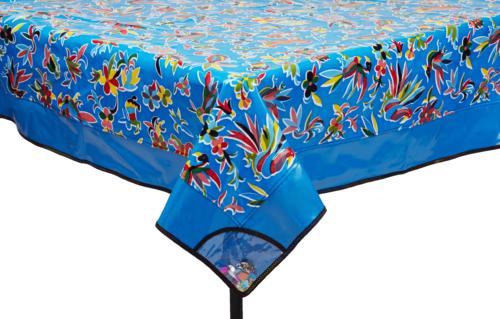 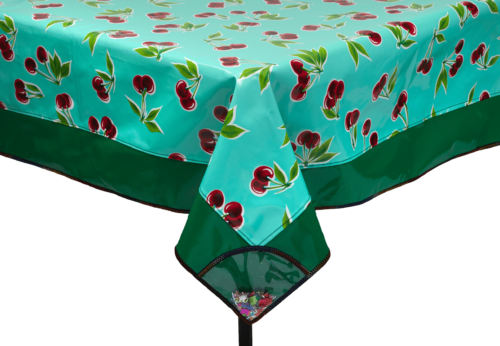 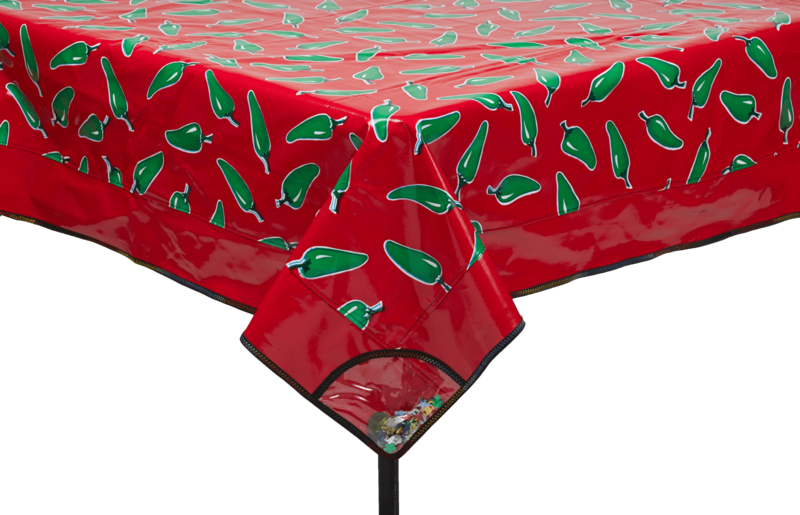 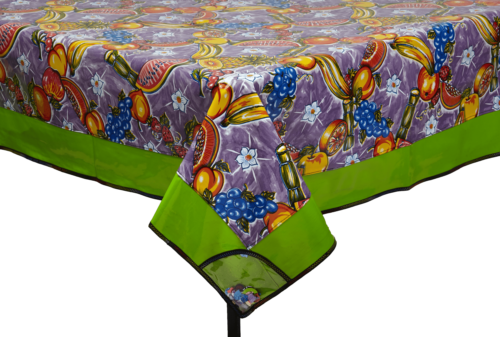 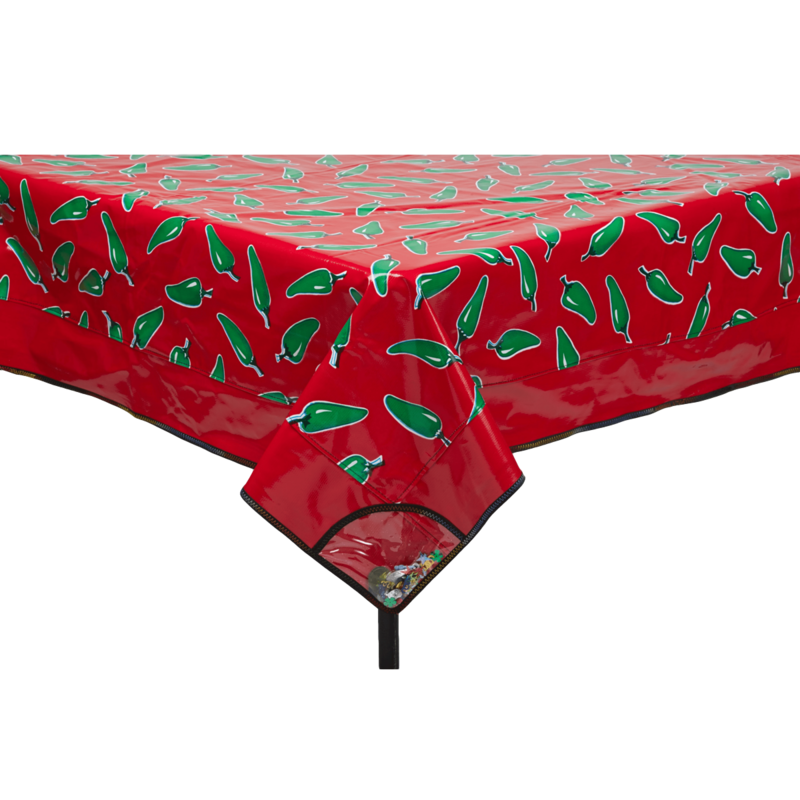 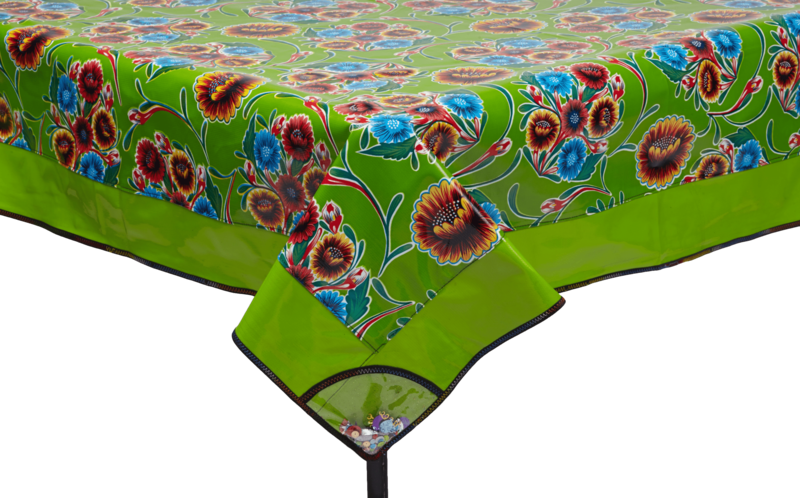 Handcrafted lined tablecloth, made of the finest Mexican oilcloth. 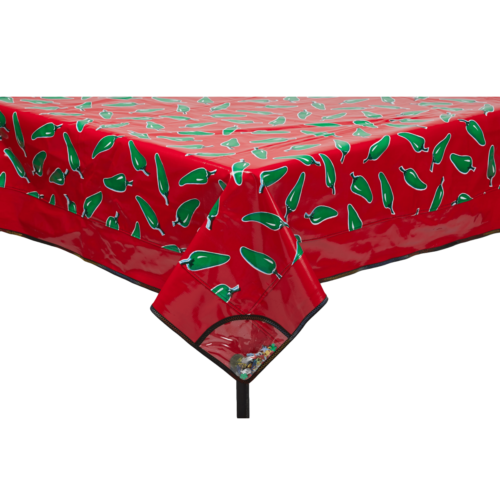 Highly durable material that comes in six sizes, and features contrasting solid oilcloth on border. Each of the four corners has a clear vinyl pocket that includes weights for safe outdoor use.